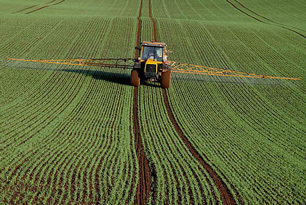 Dimethoate is an insecticide used on a variety of fruit, vegetable, grain, and field crops. It has also had non-agricultural uses in the United States, including the control of houseflies in residential homes, but these uses were restricted in 2000. It has been found in trace amounts in some food samples in the United States. The World Health Organization reports that dimethoate is not expected to persist in water or be detected at levels of health concern. According to the WHO, dimethoate should be treatable with a combination of chlorination and granular activated carbon (GAC).